"So, is the GenBook worth your $100? Depends on what you need this thing for -- it's alright for looking up a quick Website here and there, and we assume if you can get some light apps running on it, it could be a decent single-function device. 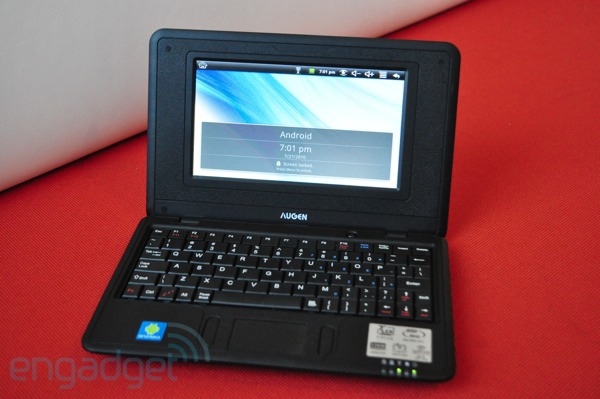 However, if you're looking for something that can provide decent video playback and be more of a multitasker, it's probably best to save up an extra $100 and get something a bit more substantial (like a bona fide netbook)." This is the same company that is bringing you the $150 Android tablet I reported on yesterday. This one fares poorly in the review and I'm hoping it doesn't reflect on the quality of the tablet (although it probably does). I'm still keeping my fingers crossed since the tablet supposedly has Android 2.1 as opposed to 1.6 on this and more horsepower. Otherwise, this really is similar to what Asus first offered in the original Eee at a fantastic price point. With some fine tuning, it could still be a winner. Still, I've got to ask, where the heck did this company come from?